and then So Saffron on top. Wild Wasabi and Soft Suede. The flower is in Watermelon Wonder. 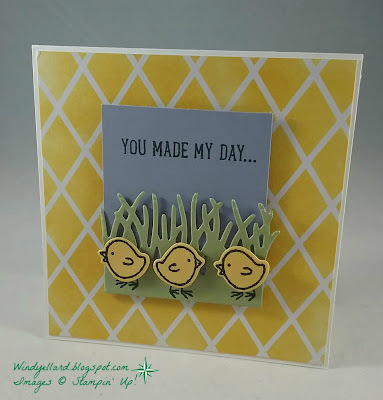 I cut all of these with the matching dies from Birds & Blooms thinlits dies. is from Timeless Textures stamped in Watermelon Wonder. I like the way it turned out! Hope you have a lovely Sunday and thanks for stopping by! 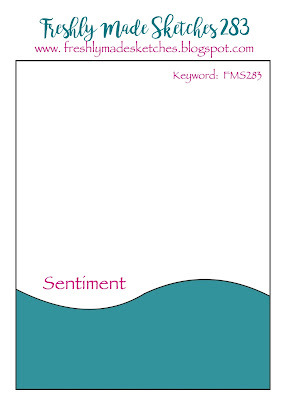 This is the third card for my classes this week. on the butterfly. The DSP is called Fresh Florals and comes in all five in colors. I used a sentiment from Special Reason. Great words but also skinny! 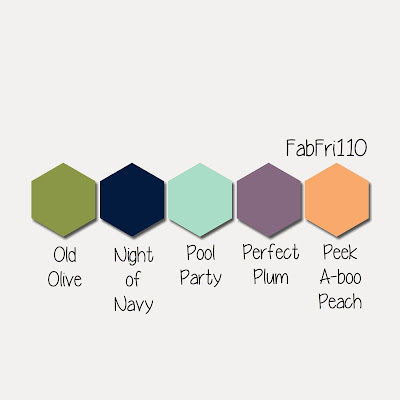 my new Tranquil Tide in color. 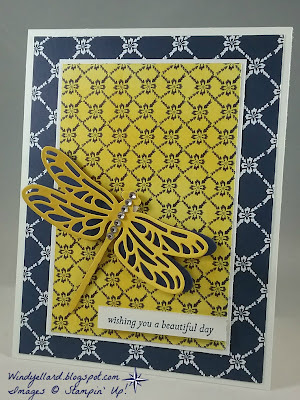 from Lisa's many color combos. 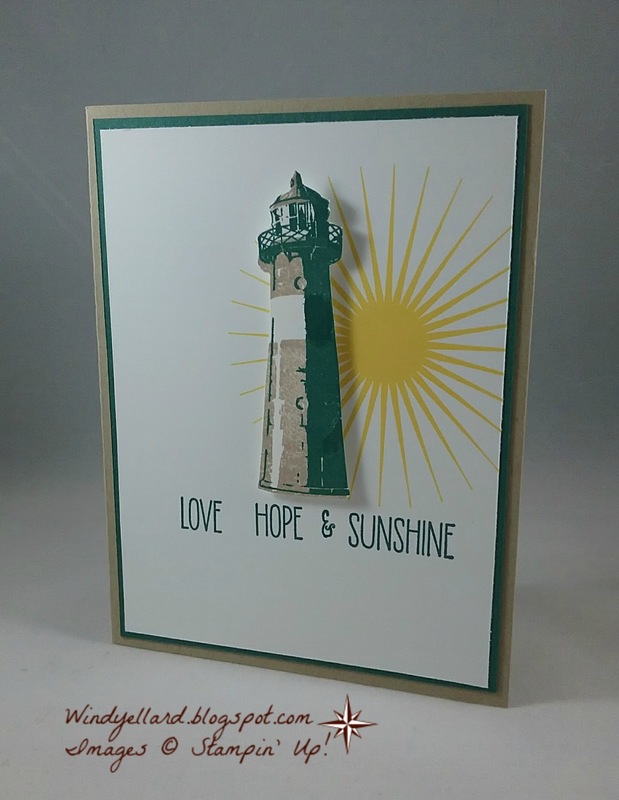 and the light house from the High Tide set. with Crumb Cake and then Tranquil Tide then hand cut it out. which has several individual words. I choose to stamp these three with the & under and really love it! I will send to my mom since she loves light houses. I was able to pre order early at Onstage for this wonderful suite. and the coordinating DSP called Delightful Daisy. This print of the DSP is probably my fav. I love navy with white and yellow. 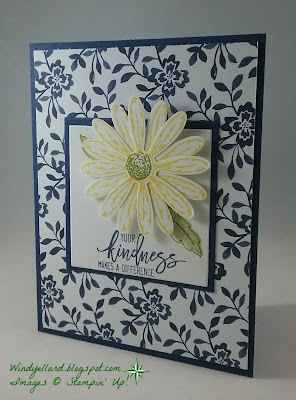 I stamped the daisy twice in Daffodil Delight ink and punched them out to layer together. I stamped the middle with Old Olive and the leaves are the same ink on the white background. It has this sentiment and a large Thank You stamp and the rest are floral pieces in the set. 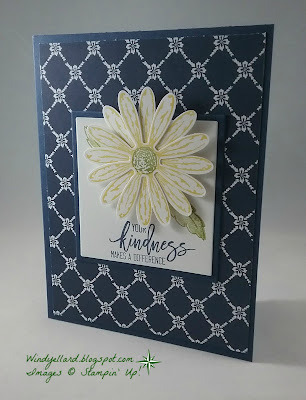 A little navy twine to finish it off and it makes a sweet card! This my second card for class next week and my guest hopefully will fall in love! 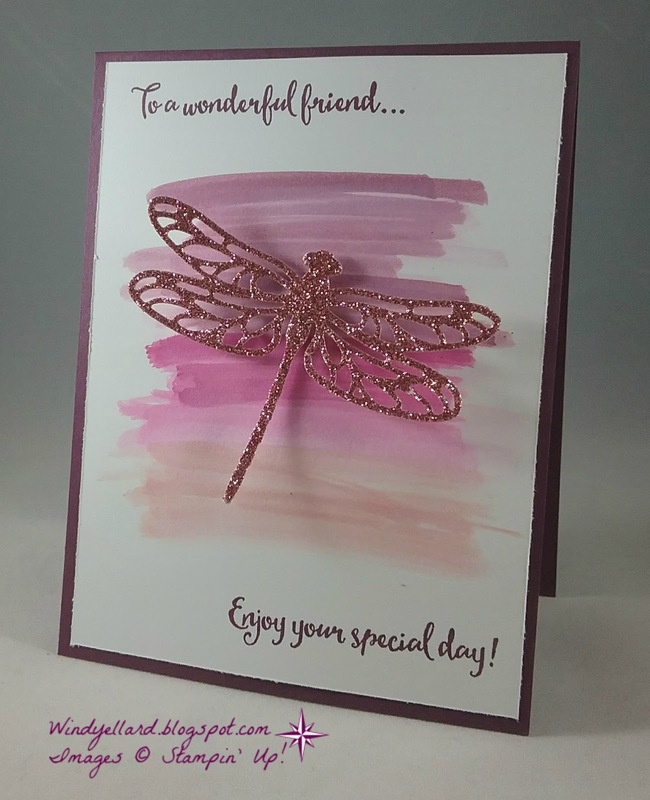 same card from Michelle Last on Pinterest. I stated with a base and background similar to the case card. I used tip Top Taupe for the base as well as to stamp my llama friend. 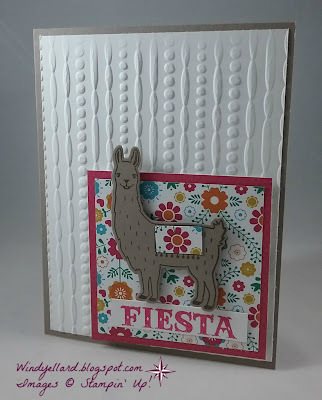 I ran the white background through with the Festive emboss folder. 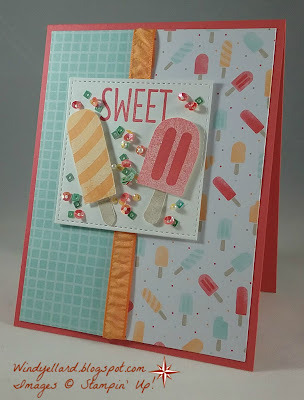 I cut both squares from the DSP called Festive Birthday. 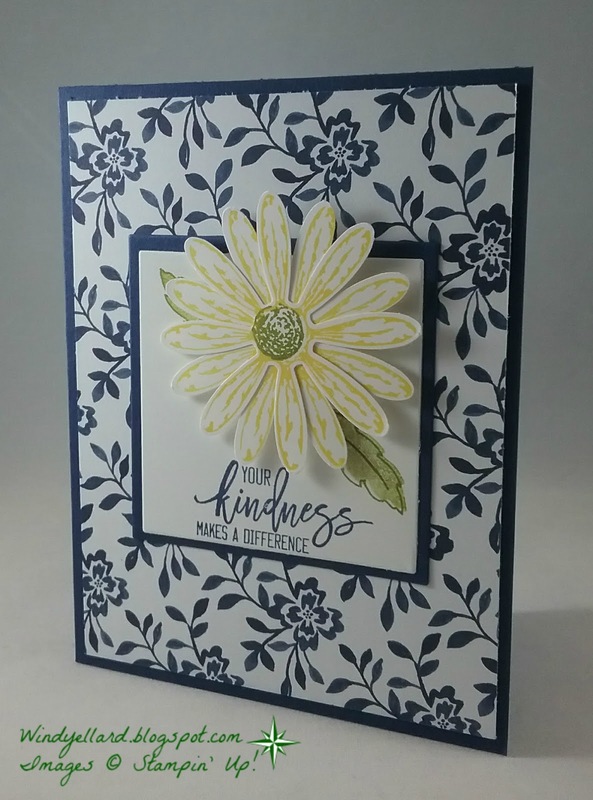 daisy stamp and punch. So this layout was perfect to use these again. I stamped one daisy in Calypso Coral and one in Peekaboo Peach. 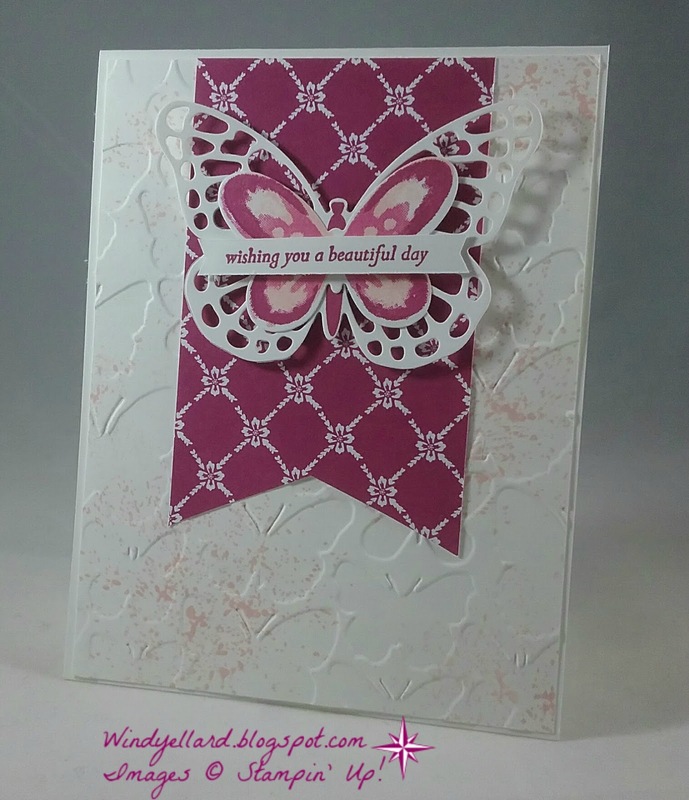 .I stamped Coral in the middle and added a new Glitter enamel dot. 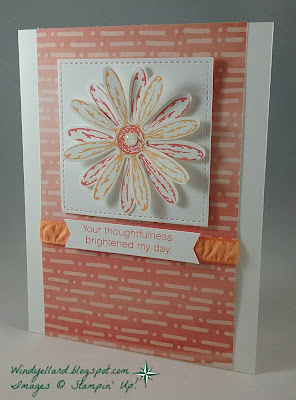 I used some of the Delightful Daisy DSP for the background. 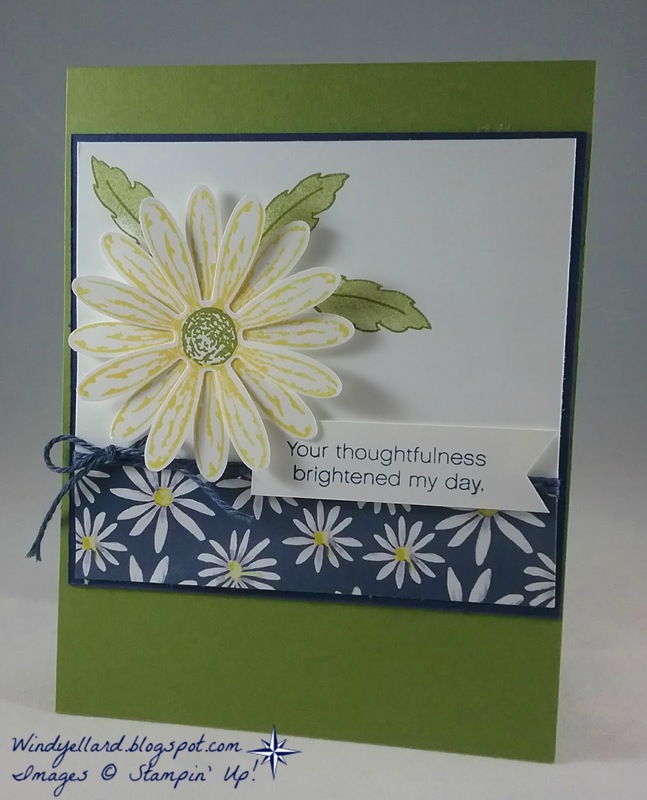 also from the Daisy Delight stamp set. and play along with the great sketch. where I used the all Mint Macaron colored piece. in Sweet Sugarplum. 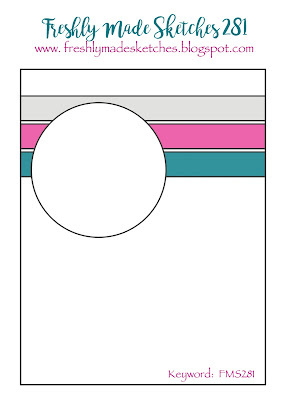 Both circles are cut with the Stitched Shapes dies. 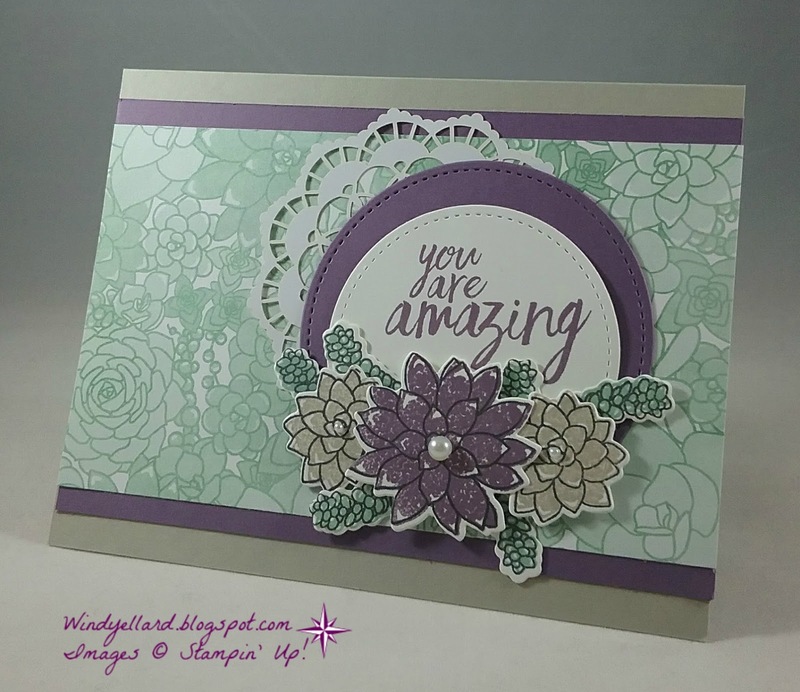 The flowers are cut with the matching dies Succulent framelits. 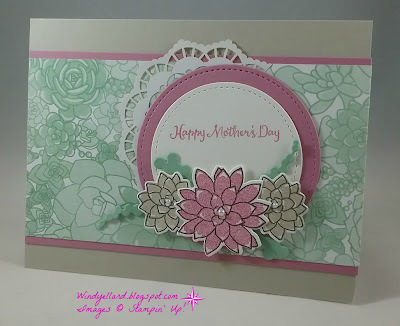 I added a white doily behind for some fun! I finished off my flowers with small pearls. to hand out to volunteers at our Bible study. It has a matching punch, too. 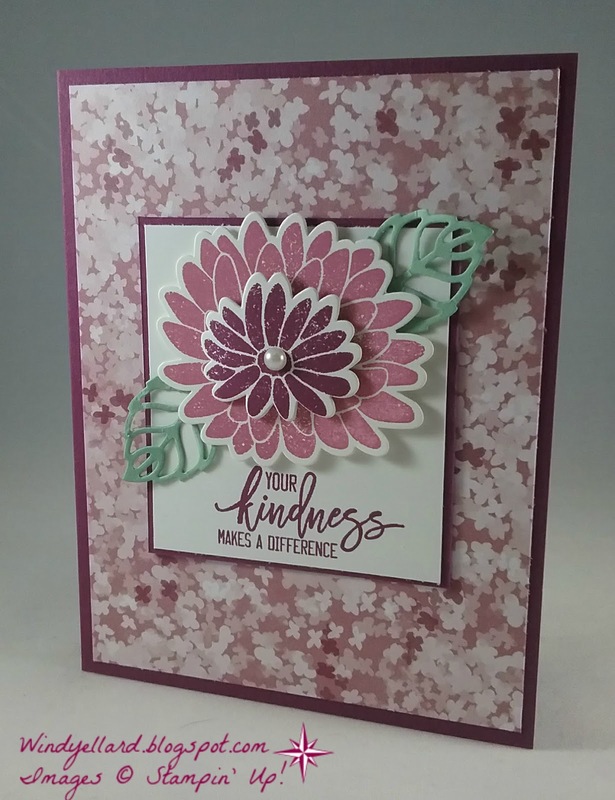 I stamped two daisies and punched them out for each card. but I need to try another color combo soon. I won at Onstage a few weeks ago. I thought I can stamp the flowers and make a cool background. called Lemon Lime Twist and I fell in love! Basic Black with the Berry and Lemon card stocks. Hope you will enjoy the new 2017-2019 in colors that start June 1st. when I saw this sketch this week. 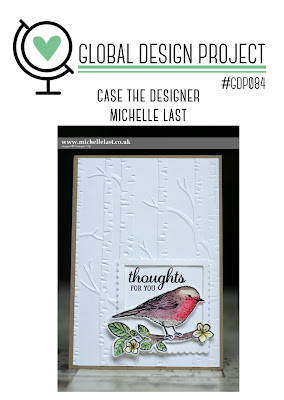 on Dapper Denim card stock. I stamped the fishes and use circle punches. from the Window Shopping stamp set. Then for some bling....I mean bubbles..I used some gold sequins! so I went that route with my card today! I had some of this DSP called Floral Boutique cut already. started but then did not use it on that project. for my bling. 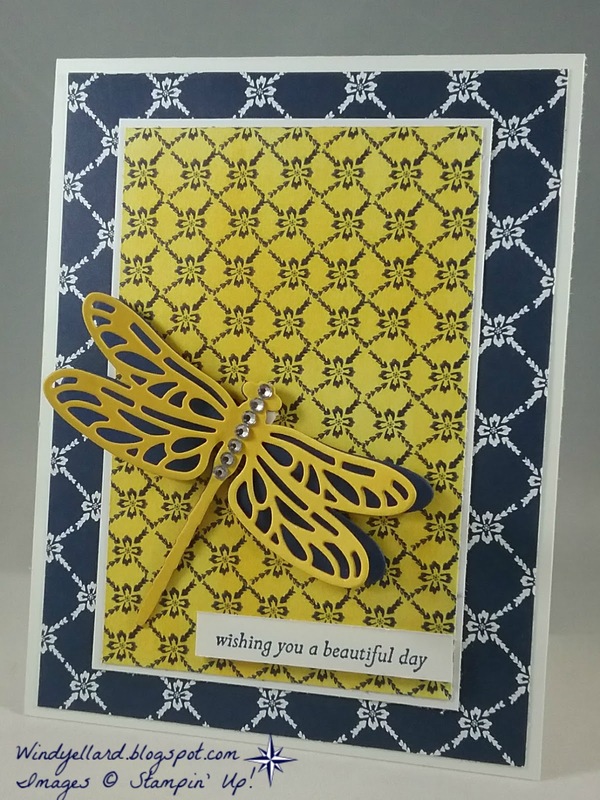 I cut it with the Detailed Dragonfly dies. 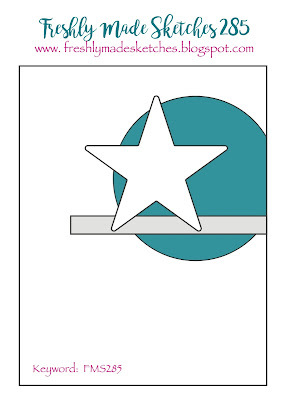 starting in the 2017-2018 annual catalog. Fresh Fig and mounted on the same color card stock. 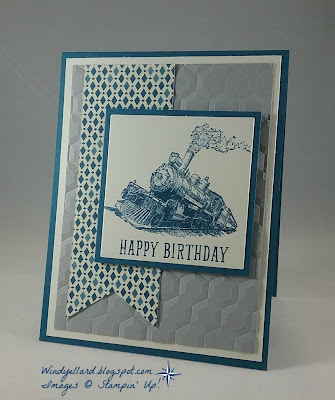 and I always send him a card with a train. and used the sentiment from B.Y.O.B. 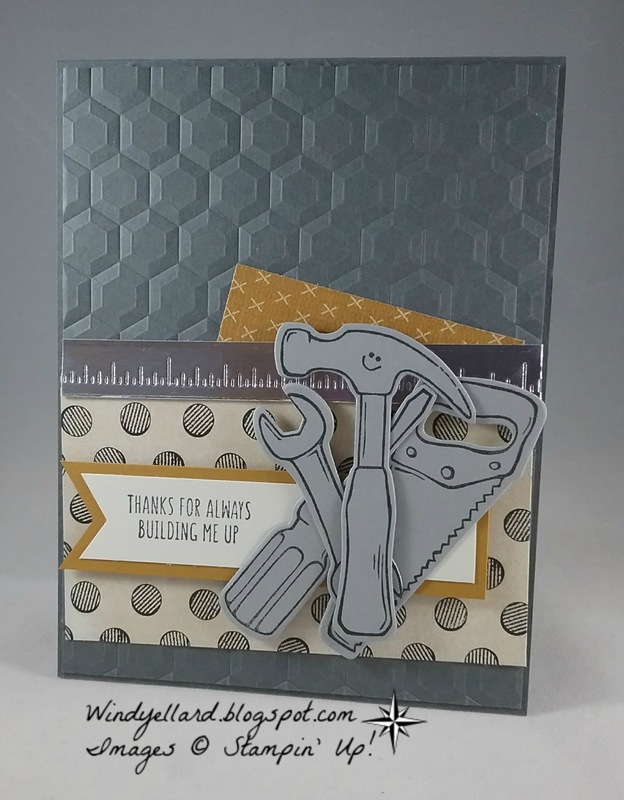 of Smoky Slate emboss with the Hexagon 3D folder. Stamp sets: Traveler, B.Y.O. P.
the sentiment and used the screw driver with screws. with some silver foil paper. Hope you have a fun day and thanks for stopping by! Happy Happy Easter to You!!! 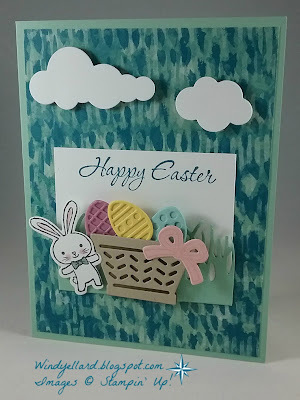 I do not have an Easter card to share. Nailed It bundle from the Occasions catalog. and hope they inspire you. I love the texture the Hexagon 3D embossing folder gives for a project. 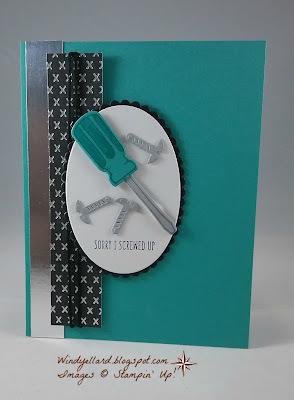 I stamped the tools in Memento Tuxedo Black on Smoky Slate card stock. I added a cute face from the stamp set on the hammer! I used a piece of silver foil to cut the ruler. in grays, black, and dijon. The sentiment is great for anyone. and thanks for stopping by here! that serve as hostess at my Bible study on Wednesdays. I am thanking them for their sweet and kind service each week. 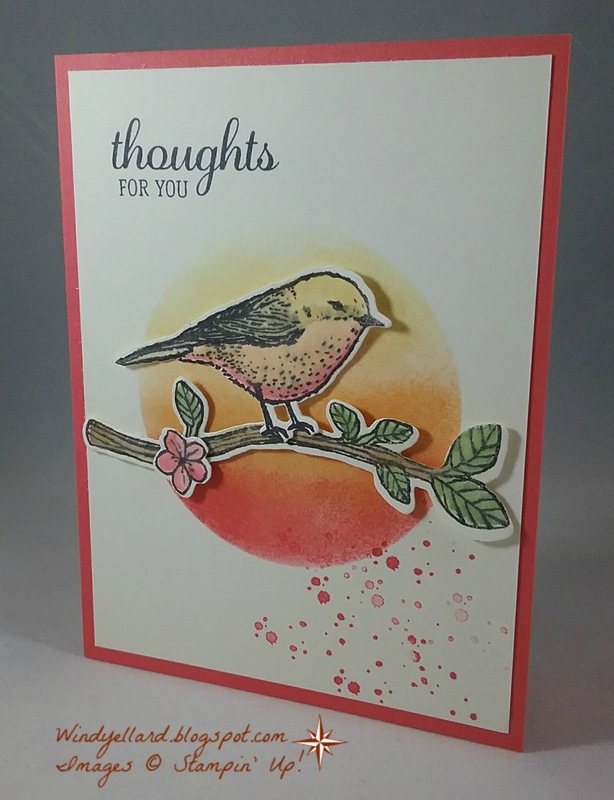 I stamped the sentiment from a retired set called Thoughtful Branches. Rich Razzleberry. 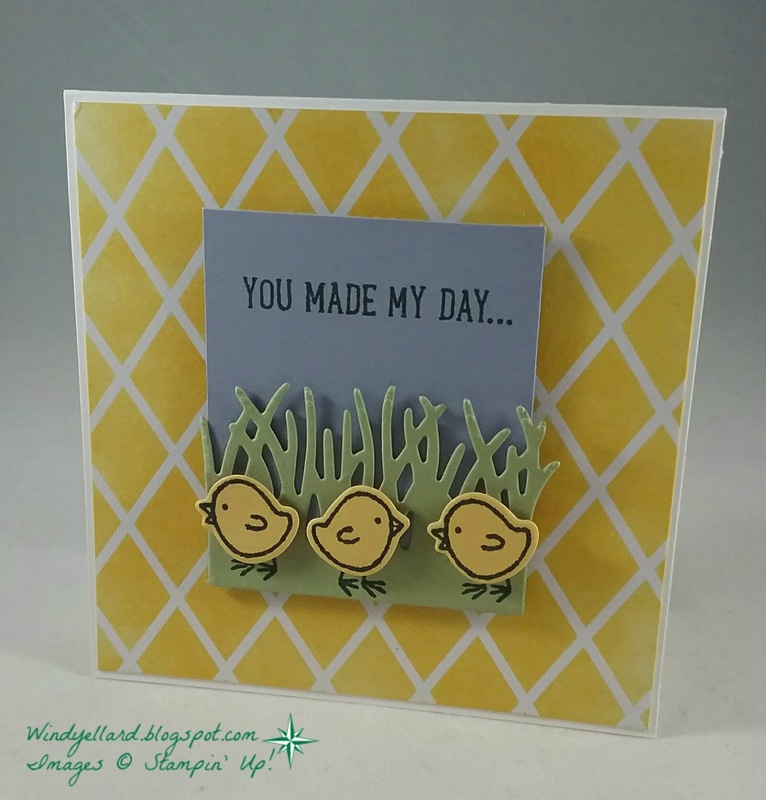 I cut them out with the matching dies Stylish Stems. I added some Mint Macaron leaves cut from the dies to finish it off. I knew it would involve DSP. I have loads of DSP that is about to retire. dies coming in the new 2017-2018 annual catalog. 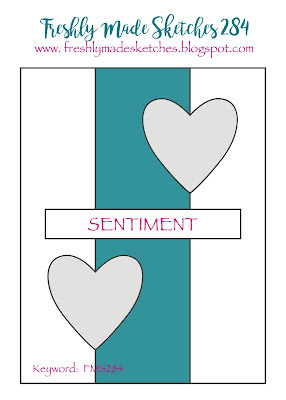 The sentiment is center stage and from the set Designer Tin Of Cards. It is a set retiring but I have not used it enough! I really like this sketch! But could not decide on a set. I love the start with the wonderful DSP from SU! matches a stamp set or a bundle, I do not have to think much about it! with the Cool Treats bundle. I stamped the pop sickles and then cut them by hand. from the Cool Treas stamp set. It looked so plain that I had to add some sprinkles! to finish off this cool card! 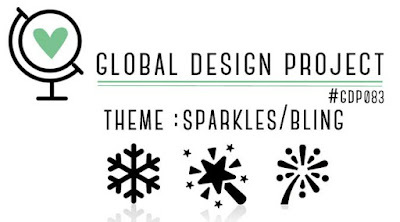 Head over to global-design-project.com to play along today! Thanks for stopping by and have a cool day! I placed a doily behind the Stitched Shapes circles. 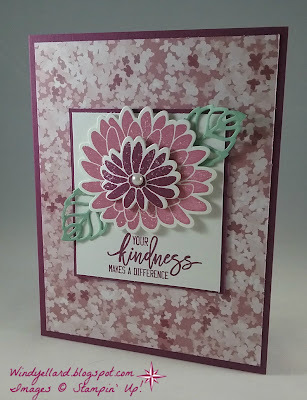 I stamped the Whisper White circle with a sentiment from All Things Thanks. and cut them out with the Succulents framelits dies. Perfect Plum and Sahara Sand. 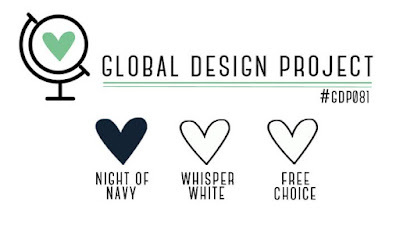 Hope you can play along with the color challenge this week! Especially since it has the color purple in it! with the color challenge today! 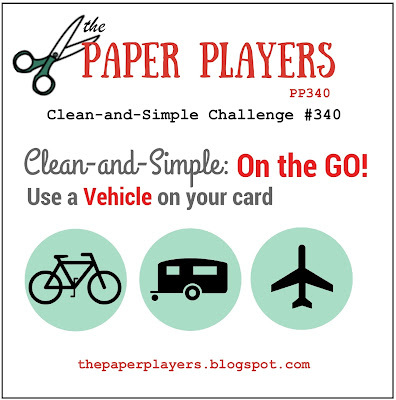 You can grab a note card and make it special. 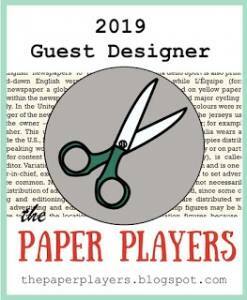 I love that this are already cut for you and scored and come with an envelope. 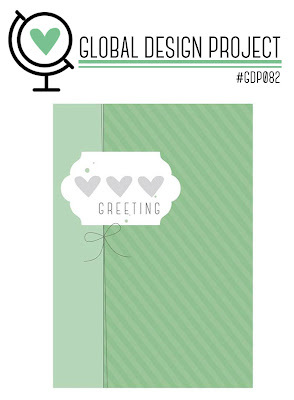 20 note cards and envelopes in one pack for 6.00. 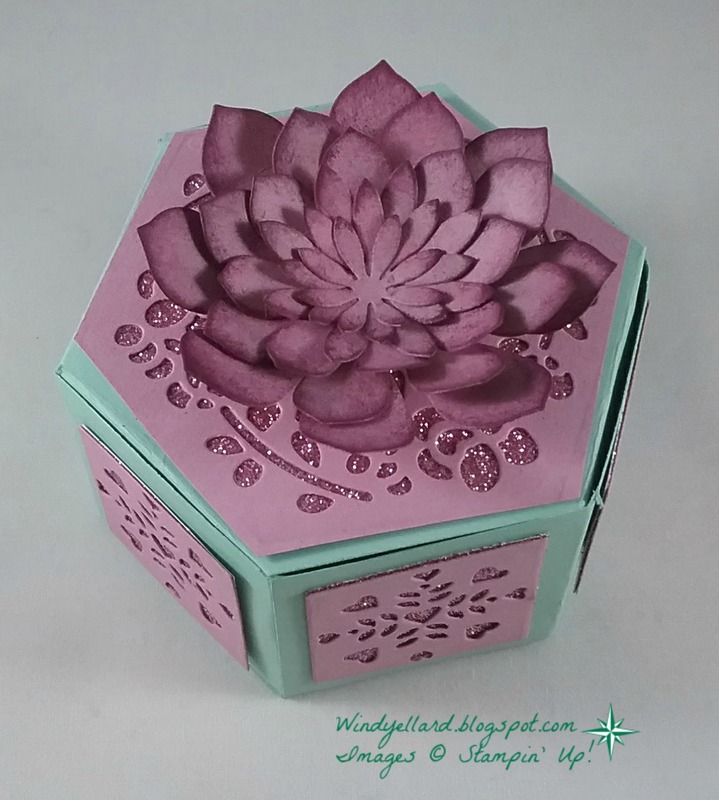 Basket Bunch set with my markers before stamping and then die cutting. some more eggs to the envelope flap. I love the dots and fun to color with marker. 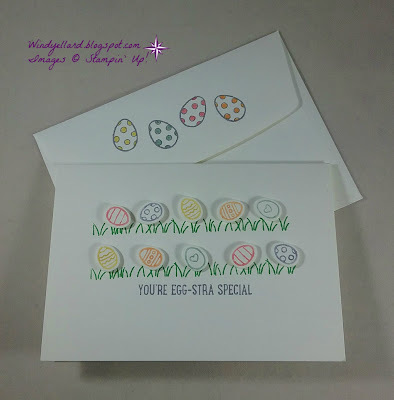 I hope you have a egg-stra special day! with the Basket Bunch bundle. than Easter. I see spring when I look at the bundle. I colored the images with the water color pencils and my aqua painter. 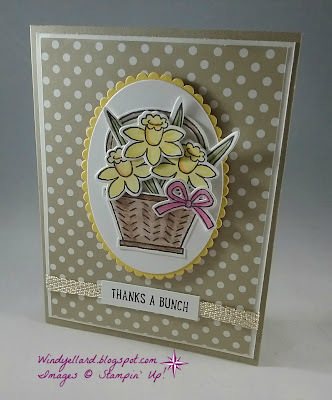 I cut out the flowers, stems, bow and basket and mounted on layering ovals. Love the polka dots for a background. Thanks for stopping by today and have a happy Monday! I started with the DSP like the other card---have too much of it! polka dots but added the So Saffron across to soften it a bit! But then what stamp set to use??? I grabbed the jars because they are also so cute and the doily made me think of that set. using the water in mint Macaron. to make it look a little vintage. I stamped the flowers in Pink Pirouette and then in Watermelon Wonder (three steps). 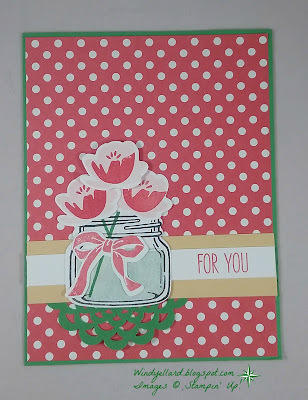 I cut all that out with the Everyday Jars framelits dies. 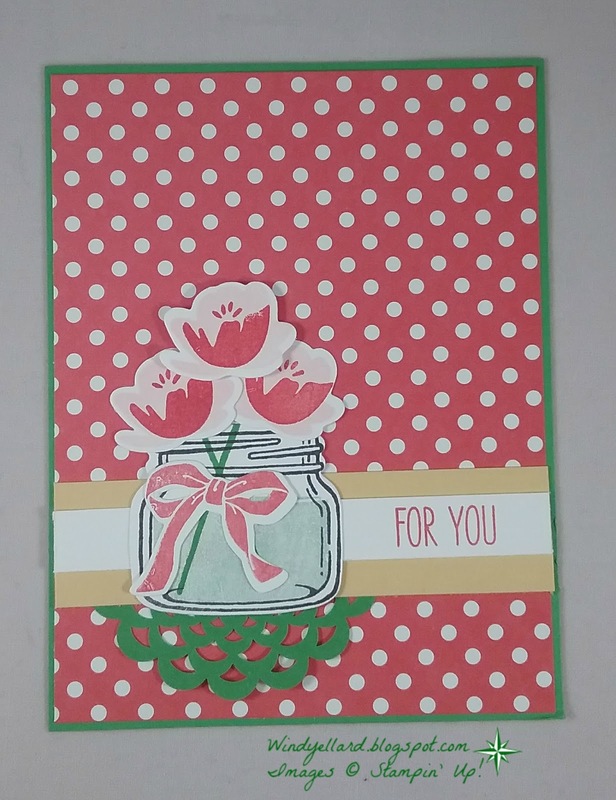 I used the For You from the Jar of Love set so can be any occasion. Today I am at SU! Onstage Local in Savannah GA! seeing the new 2017-2018 annual catalog! I made about 36 swap cards (they are card fronts ready to mount onto a base). I made 12 of this card. The rest are a design I am sharing tomorrow. it is about to retired. I also had lots of the in color doily in Watermelon Wonder. 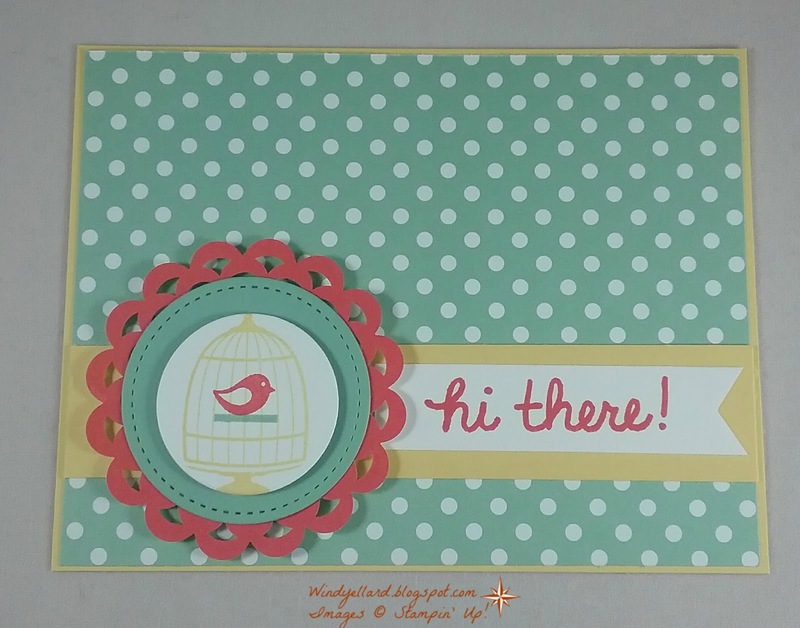 Mint Macaron and the bird in Watermelon Wonder. It has a nice modern look to it and yet a little retro! I hope your day is as exciting as mine! 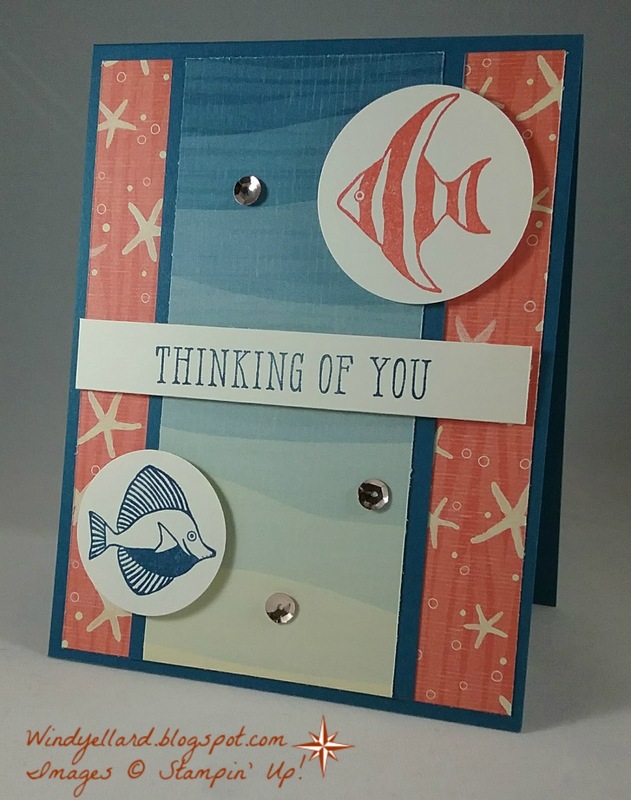 A cute 4 x 4 card for someone cute! 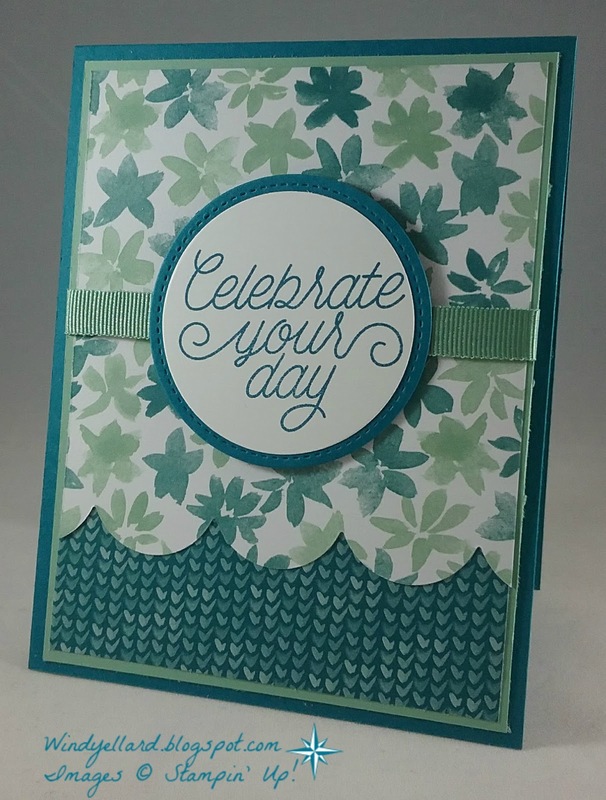 DSP that is embossed so you can color it. I used a sponge roller with Daffodil Delight. 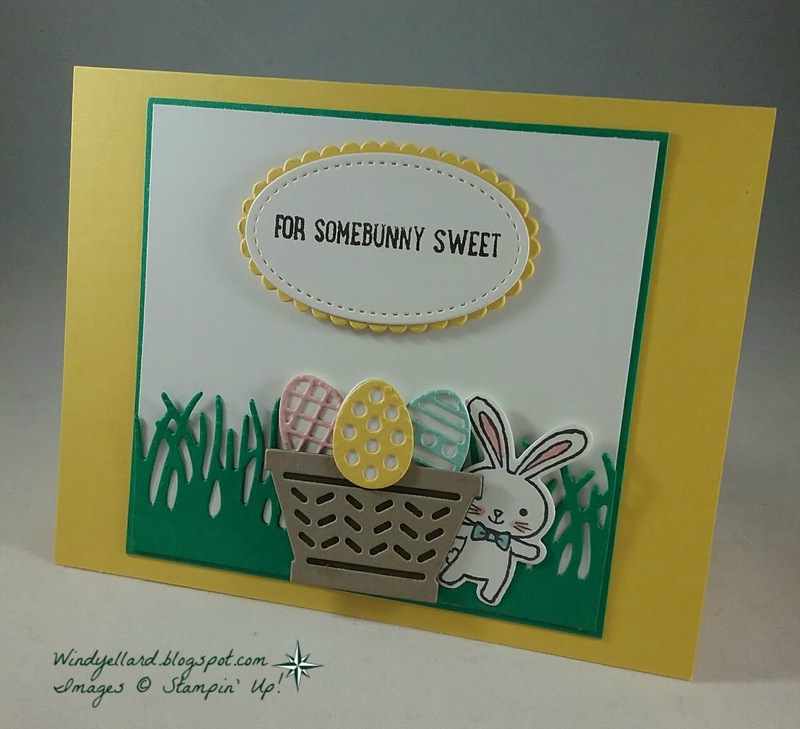 The sentiment is from the Basket Bunch set. 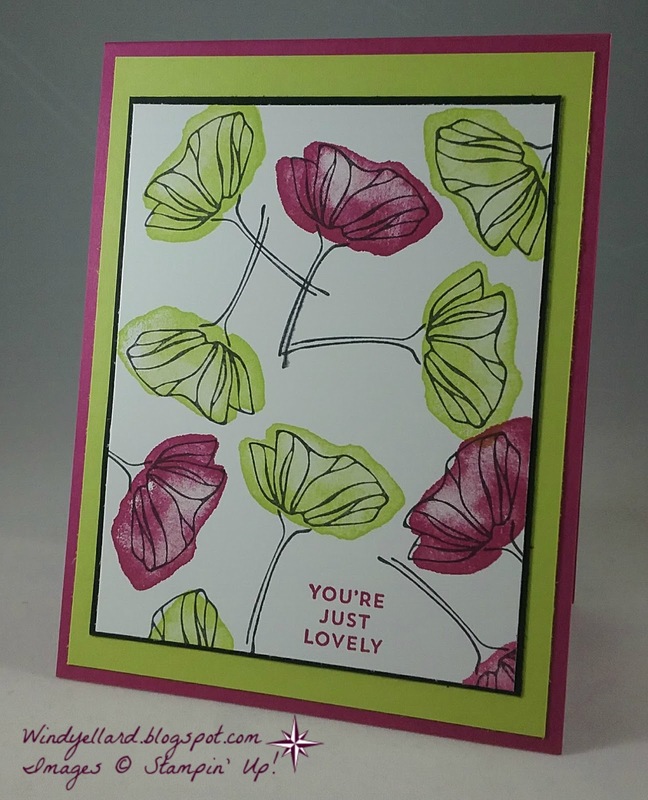 Such a cute card for the Ink Big Design Team! I hope you have an amazing Friday and thanks for stopping by! This is my first attempt at both the window box and the succulent dies! but it makes it interesting! the how to on the box and the succulent dies on You Tube. those who make and post videos for us! Thanks for stopping by and have a lovely Thursday! plus it is fun to sponge roll on color! rolled Crushed Curry over it. Layered it with more of the designer paper with navy background. I used a sentiment from Special Reason set. Love the tiny size and this saying! I cut a Night of Navy dragonfly and the a detailed one in Crushed Curry. I added some clear wink of stella for some shimmer and rhinestones for more bling! You know how much I love that bunny! I just had to use him again! with great colors like Island Indigo and Mint Macaron. A few clouds from the Up & Away thinlits dies give it a perfect sky look. The basket, eggs, grass and bunny are from the Basket Bunch dies. The sentiment is from the Easter Message stamp. 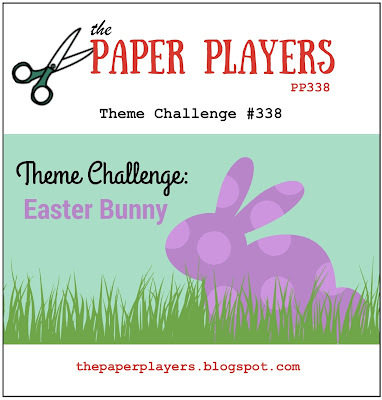 Go play along with the Ester Bunny theme! Have a blessed Tuesday and thanks for stopping by! Probably my favorite bunny card. for the Ink Big Design Team. 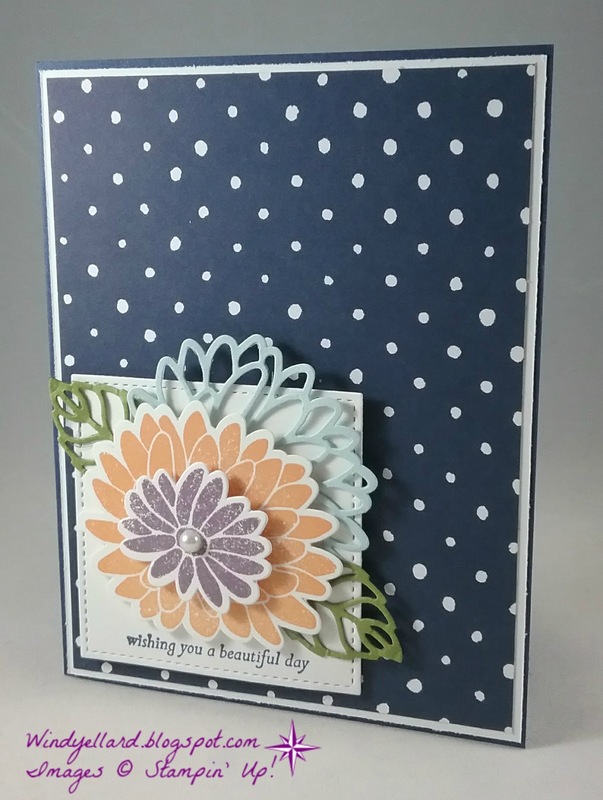 I love this bundle and have enjoyed designing cards/projects with it! I used a stitched square to start. I water colored a little of the background with Pool Party. 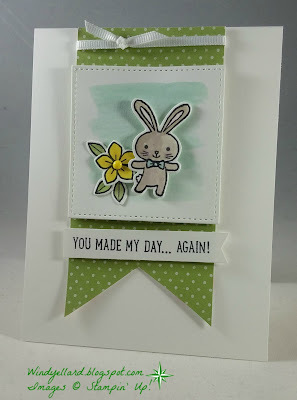 I stamped the bunny and flower in Memento Tuxedo Black. 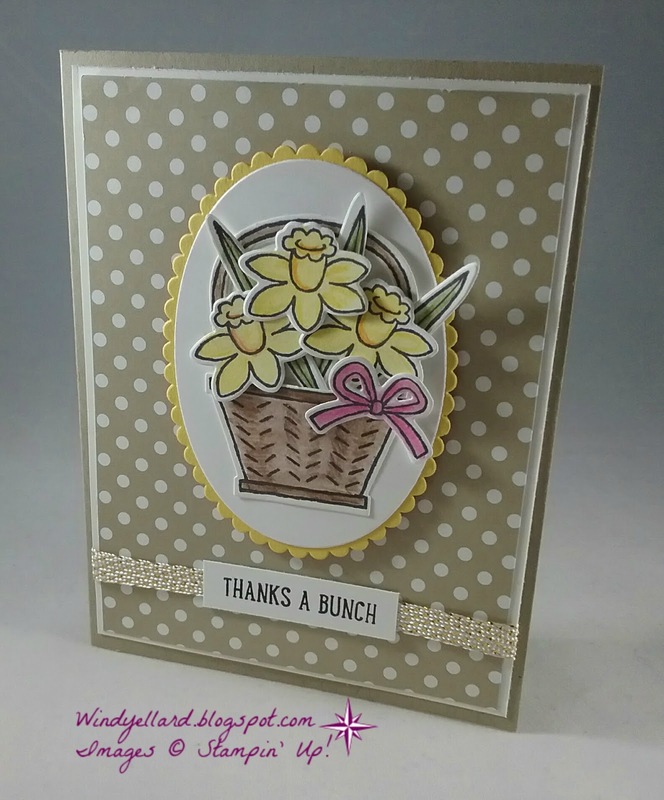 for the bunny and Daffodil along with Pear Pizzazz for the flower. I die cut those and popped a enamel shape in the middle of the flower. 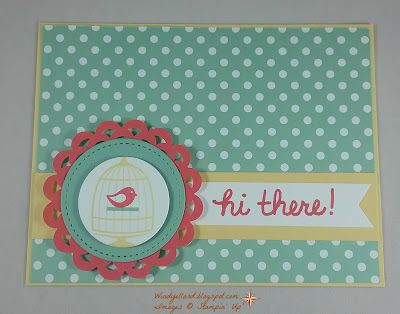 A quick banner from DSP and I used a sentiment from the stamp set. The thin Whisper White ribbon was the perfect finishing touch. Hope you have a sweet Monday and thanks for stopping by! I love that bunny! I collect bunnies..they are all over my house! I colored him with a little Blushing Bride and Pool Party. 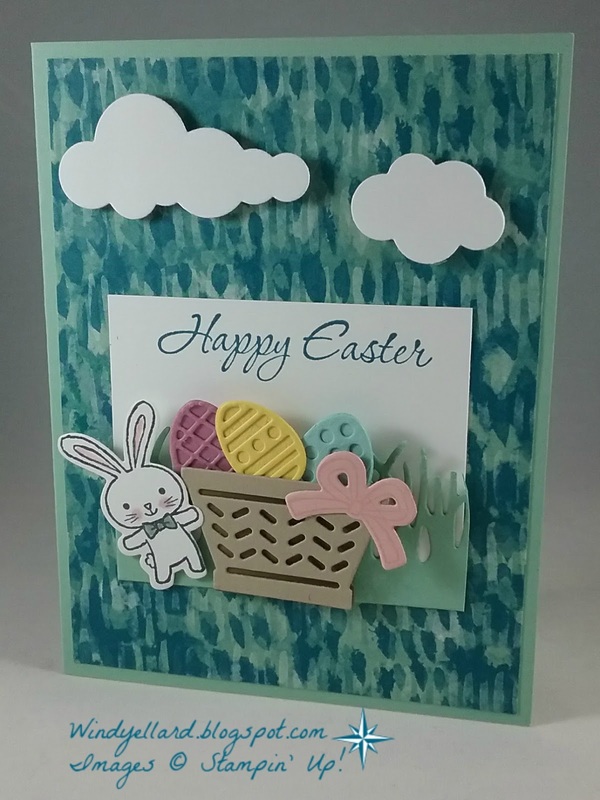 to make the eggs, basket, grass and cut out the bunny! 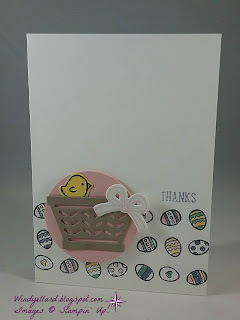 I placed some Early Espresso card stock behind the Tip Top Taupe basket. The bright yellow base just makes you smile...ok and the bunny!!! the Ink Big Design Team. Hope you have a blessed Sunday and thanks for stopping by! I decided to flip the sketch to the bottom. I grabbed a note card for a cute card. cut a basket with a little chick and bow. 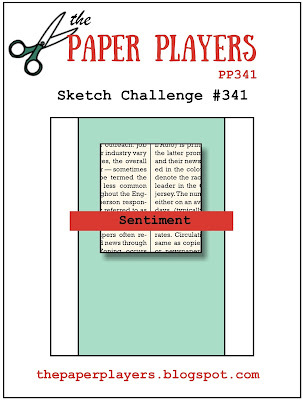 Go play along with the freshlymadesketches.blogspot.com sketch challenge. Hope you have a wonderful weekend and thanks for stopping by!